This is a great recipe for anyone looking to make a great tasting rum. It’s simple and can be easily done with ingredients you can find locally. Don’t forget to leave a comment at the bottom of the page after you try it! Add brown sugar, molasses, DAP and Citric acid into a large pot add 10 liters of hot water and stir until sugar and molasses dissolves fully. Heat wash on the stove until you achive a rolling boil then take off stove and let cool to between 25 – 30 C. This will invert sugars making it easier for yeast to convert it into alcohol. Poor sugar wash into fermenter and top off with water between 25 – 30 degrees C.
Leave for 24 hrs then stir again to aerated sugar wash.
Let stand until fermentation is compleate will usually take between 4 – 8 days depending on temperature. Try to keep sugar wash between 20- 25 C while fermentation is underway. This is ideal for the yeast. bubbles stop passing through air lock. Once fermention has completed wait a day or two and then transfer the wash into another container wait another 2 days and transfer the wash into the fermenter this will allow the wash to clear and will remove most of the unfermetables left in the wash. If your in a rush you can also use a clearing agent that can be purchased online or at your local brew shop. If your going to use a clearing agent I usually go with Still Spirits Turbo Clear bulk pack. 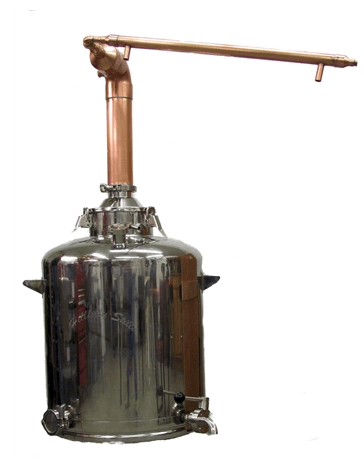 If your new to making moonshine check out our Distilling 101 section of our blog. 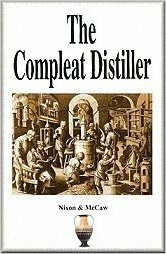 For more information about the distilling process. You can also flavour your rum by oaking it or adding spices like cinnamon, nutmeg, vanilla, dried fruit and mable syrup. For details regarding flavouring and ageing rum check out our Oaking and Ageing . 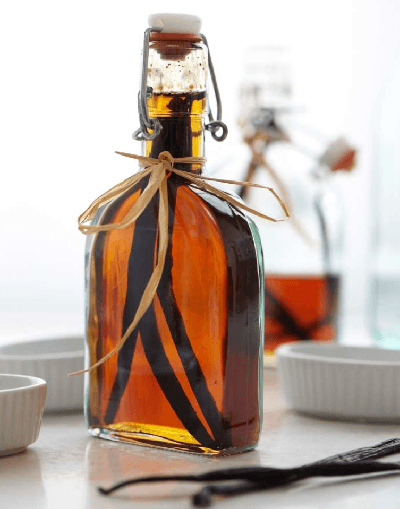 You can change the final flavour of your rum by adding more or less molasses. The more you add the stronger flavours you will have. You can use food grade molasses from the grocery store but this will cost you alot of money so I wouldn’t reccomend it. Instead use blackstrap which is what commercial distilleries and most hobby stillers use and will be much cheaper. You can find it in the baking aisle of any grocery store in the US. Blackstrap molasses contains 50% sugar and weighs 1.4 kg per L thus there is 0.7 kg of fermentatble sugars per L.
One further note is that molasses is very low in nitrogen which yeast need for reproduction for a strong fermentation so it’s a good idea to add DAP which will increase nitrogen levels. DAP can be found at your local home brew shop. Alternatively you can add a can of tomato paste. You can either use bakers yeast or brewers yeast from the brew shop. Bakers yeast is cheaper and has been bred up on molasses so it’s conditioned to it already this is what I usually use. You can generally purchase this at your local grocery store or if you can’t find it their you can purchase it online here. 30 Responses to "Easy Rum Recipe"
Do you have any idea what % alcohol your wash usually reaches by the end of fermentation? It’s been about 9 days & today I opened up my carboy & found that my wash has very little residual sugar left in the wash, but only reads about 5% alcohol on my wine hydrometer.. Which to me says that with only 5% I’ll get very little distillate from my fairly large wash.. It should finish off at around 9 -10 % abv are you doing your calculations correctly using the SG (Specific Gravity) before and after fermentation ? Temperature of the wash can also sometimes throw off the reading you may need to correct for this. Hope that helps ! I’m on my second batch the first was so good! I’ve been following your recipe for a couple of years now to great success with a couple of additions. I add a gallon of dunder ( the remaining liquid in the still after distillation) to the fermentation and I have added a thump keg to my still. The flavor is great and the thumper seems to remove any oils that used to cloud my distillate. Thanx again for a great recipe. Thanks Micheal glad you found the recipe helpful.. Anyone else experiment with this rum recipe ? Let us know what you changed and how it turn out ! What is DAP ? And did you only use 10 L of water total? Should this be run through a pot still or reflux? I will give it a go! Still new at this… I have a stainless steel tower still that I can pack with copper and or raschig rings. Would you not use any copper packing at all or just minimal? Ya don’t use any copper packing. The packing will increase reflux within the still and strip out your flavor !! Let us know how it turns out ! Hey Herb we need to moderate all comments because of spam unfortunately there are many people out there that love spamming the comments with crap! We would love for you to contribute to the site. Feel free to share any info and knowledge you have. Yea Herb, I’m totally new to this and it sounds like you might have quite a bit of good info that could save someone like me a bit of time/$$$. Looks like some good info here so I will check back more as I get this moon shine thing figured out. Cheers! Is 100 grams of yeast correct? If so that’s about 10 packs as 1 pack has 10 grams. Sorry if I’m nitpicky. Lol. Hey Dan ya 100 G is a little excessive lol .. Added an extra 0 to that fixed er thanks for pointing that out ! DAP – Is nutrients for yeast, nutrients help with yeast reproduction and creating stronger yeast. It’s important to use a nutrient in sugar washes because sugar lacks many nutrients needed for growing strong yeast. I would suggest you use an airlock and a carboys glass or plastic work great. Finished my first run. It turned out great! Here is a good recipe I use and it makes a great rum. You probably no the next steps, so go ahead a try you will love it. First batch is fermenting now. The yeast didn’t start after 12 hours following the instructions here, so I hydrated another 10 grams of yeast in hot water (110 degrees F), let it sit for a few minutes, then just poured that in… 2 hours later it was a bubbling :). I’m now 8 days in on the fermentation and it’s starting to slow, but is still working. Looking forward to the end product. What method do some of you use for oaking? I was considering buying some Jack Daniels barrel wood chips, washing them, and just putting them in the jar. I’ve used the Jack Daniels oak chips before with good results just make sure you don’t add to much chips to the jar or you’ll be watering it back down with more shine lol made that mistake more then once! This maybe worth a read too https://learntomoonshine.com/aging-homemade-whiskey-and-bourbon Let us know how it turns out ! Any way to make this 80proof or 40%ABV? Yep if you use a pot still to distill this it will come out around 65% abv then you just add water to bring it down to 40% abv… Make sure your using a hydrometer to measure your abv before and after! Does the flavour of the rum come through after distilling.